A Carolyn Rocchio Caregivers recorded webinar featuring Tom Thompson, CCC-SLP, Clinical Instructor, Speech Language Department, Loyola University. Aired live April 11, 2018. Cognitive and communication issues can significantly impact a person's ability to regain independence in the community after brain injury. 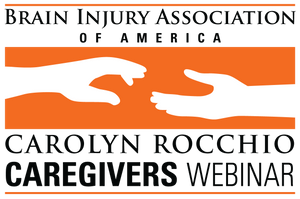 This webinar reviews evidenced-based strategies and aids designed to help compensate for cognitive deficits resulting from acquired brain injury (ABI) with the goal of fostering independence, social participation, and safety.